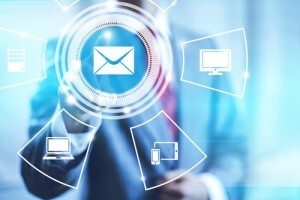 Email is one of the most used communication tools in business. It allows us to connect with each other whenever we want and gives us the ability to work together sharing our files or notes from wherever we are. Also, it is fast and easy to use making it very popular. Therefore, everyone prefers to send an email while doing business. As a result, we have to deal with so many emails during the day. If we don’t manage our emails properly, we may feel overwhelmed. Thus, our productivity can drop. Also, in a cluttered inbox, we may miss important messages. Therefore, we need to be more organized and keep the unread messages to a minimum. Use the below hints to manage your emails more effectively and increase your productivity. Set a Specific Time to Answer Your Emails: Setting aside a specific time to answer your emails makes you more productive during the day. For example; every morning when you come to work, you can give yourself half an hour to read and answer your emails. You can repeat this routine after lunch or in the afternoon to answer the emails that you received during the day. Delete Unnecessary Emails: When you open your inbox, go through the unread messages quickly and delete spam or promotional emails. You don’t even need to open them. You should be able to identify from the subject line if that email requires an action or not. Another option is to unsubscribe from promotional emails so you never receive them again. You can work on this option in your spare time because finding the unsubscribe button in promotional emails can sometimes be tricky. Organize Your Inbox with Folders: Creating a folder for each project you work on or labeling your emails according to specific tasks or deadlines will help you to track your emails more quickly. You can then prioritize and sort these emails that are in different folders. You can also set specific filters to directly send your emails to the right folder as soon as they arrived. Try to Send Less Email: If you want to receive fewer emails, send fewer emails! It is a very simple rule but it works. You don’t need to send the email to everyone who works with you, if you only want answer from a specific person. If it is necessary, ‘cc’ the others and don’t put their email addresses to the ‘To’ section. Try only putting one email address to the ‘To’ section or start your email with the name of the person you want to get response back. Would YOU Open Your Job-Prospecting Emails? Not Likely!